The Vhadau of Tshakhuma are Vhangona. 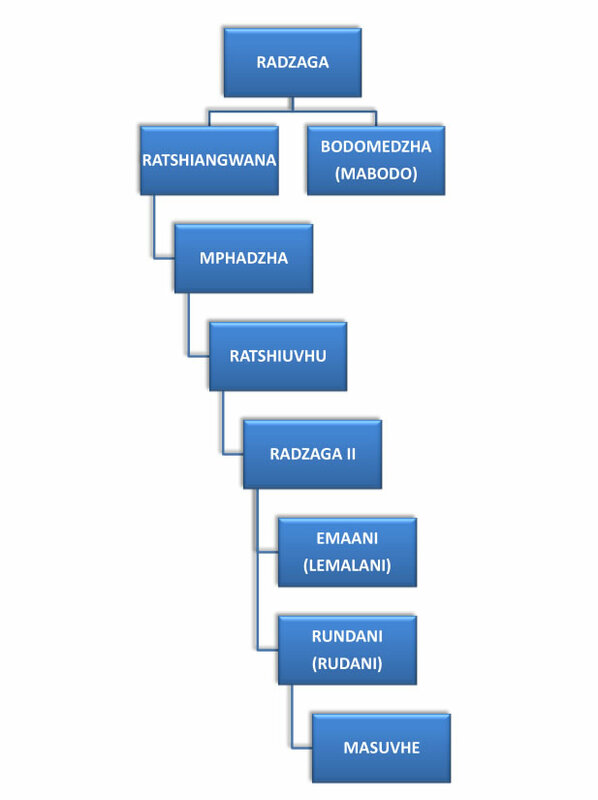 They are some of the Vhangona groups who are the indigenous Vhavenda and who were under the Raphulu Royal House. They were also known as Vhangona vha Damani (the Ngona of Damani). The first known Khosi of Tshakhuma was Radzaga. Radzaga had two sons, Ratshiangwana and Bodomedzha (Mabodo). Radzaga was succeeded by Bodomedzha. After Bodomedzha’s death, Ratshiangwana came from Luvhalani to claim the Tshakhuma chieftainship. Ratshiangwana took advantage of the conflict that arose at Tshakhuma over who should succeed Bodomedzha. Ratshiangwana was succeeded by his son Mphadzha. When the Singo invaded Venda, the Khosi of Tshakhuma was Ratshiuvhu. Oral history has it that the Vhangona were sorcerers who used very powerful charms to deal with their enemies. It is said that the Vhadau of Tshakhuma tried to bewitch the Singo when the Singo invaded Venda. When that did not produce desired results, the Vhadau offered one of their princesses to the Singo king as a token of submission. She became his wife, and the Vhadau were spared by the Singo since they were seen as friendly. Ratshiuvhu was succeeded by Radzaga II. Radzaga II made it clear that he should be succeeded by his eldest son Rundani, (Rudani). But after the death of Radzaga II, Rundani’s younger brother Emaani (Lemalani) seized the chieftainship and fought Rundani on the grounds that Rundani had married his own half-sister, Matenzhe, and that it was a taboo to do so, and he therefore could not lead the Vhadau. Lemalani became the new Khosi of Tshakhuma and his royal kraal was at Mutumbe. There was bad blood between Lemalani and Rundani for many years. But Rundani emerged victorious when he finally managed to kill Lemalani. Lemalani’s followers and his son, Muregu, fled to Maswie. Rundani tried fighting Muregu but failed to dislodge him from Maswie. Muregu was assisted by the people of Mutsindoni and Matavha. Rundani later moved the royal kraal to where it was during Khosi Ratshiangwana’s reign. All of Tshakhuma paid tribute to him. But Muregu who was at Maswie refused to submit to Rundani. Rundani was succeeded by his son, Masuvhe. The dispute between the people of Tshakhuma, under Masuvhe, and those of Maswie, under Muregu, continued. Masuvhe and Muregu finally agreed that Mutandabinyuka River should be the border between Masuvhe and Muregu’s lands. Muregu established himself in Luvhalani, at Musumani, while Masuvhe ruled the whole of Tshakhuma. Masuvhe was succeeded by his son, Raluthaga. Raluthaga moved the royal kraal to Mangwele Mountains. He was on good terms with Muregu, who was at Luvhalani. He even managed to convince Muregu to pay tribute to him. He did so by arranging that the two of them should lead the religious (thevhula) ceremonies, with Muregu supplying the sacrificial cows, and Raluthaga being in charge of the rituals. It is said that even up to this day the Muregu descendants keep the two sacrificial cows at Luvhalani. 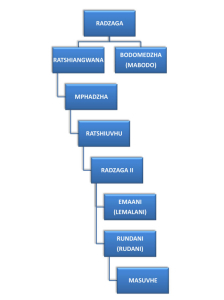 Raluthaga’s sons were Mbodi, Mulangaphuma, Ramadi, Nndwambi, Sundani, Khangala, Munzhedzi (Nemaţavha), Maswoba, Ganyane, Ramaano, Rakhanga, Davhula, and Radzilani. Raluthaga was the Khosi of Tshakhuma when the first Berlin missionaries, under Schwellnus, built a missionary station in Tshakhuma. The missionary station was built between Mutandabinyuka and Makuvhukuvhu. Raluthaga died, and his sons Mbodi, Mulangaphuma, Khangala, Ramaano and Sundani fought over the chieftainship. The Magota of Tshakhuma (junior chiefs) sided with Mbodi. Ramaano fled to Lutanangwa. Mulangaphuma was beaten by Mbodi and he fled to Ha-Tshivhasa, and was given the land of Vondo. Khangala fled to Tshitungulu. Mbodi became the undisputed ruler of Tshakhuma. During the Mphephu War of 1898, the Reverend Wessmann protected Tshakhuma by putting up white flags to mark the boundaries separating Tshakhuma from Old Mauluma, Ha-Ravele. This was to protect Tshakhuma from Boer attack. After the end of the South African War (1899-1902), the Vhadau of Tshakhuma welcomed their king, Thovhele Mphephu I, back and paid tribute to him again when he was brought back to Songozwi by Captain Taylor (Bulalazonke Matshangani). Mbodi was succeeded by his son Tshimbiluni. His other sons were Ganyane, Tshibevha, Mushavhani and Makhuvha. Tshimbiluni was succeeded by his son, the well-known and beloved Mavhungu Madzivhandila (popularly referred to as Vhafuwi Vho-M.A Madzivhandila. Vhafuwi Vho-M.A Madzivhandila was born at Tshakhuma in 1934. He received his primary education at Tshakhuma Memorial and Mphaphuli Senior Primary School. In 1952, he enrolled at Vendaland Training Institute where he completed his junior certificate (standard 8/grade 10). He later enrolled at Ford Cox for a national diploma in Agriculture. When Venda was declared a Bantustan republic in 1979, Vhafuwi Vho-Madzivhandila was appointed to the cabinet of the ‘republic’ of Venda as Minister of Agriculture and Home Affairs. A college of Agriculture, Madzivhandila College of Agriculture, was established under his leadership. Vhafuwi Vho-Madzivhandila remained a member of the Venda cabinet until the Venda government was toppled by Brigadier Mutheiwana Gabriel Ramushwana in 1990. Vhafuwi Vho-Madzivhandila remained a humble servant of the people, and continued to develop Tshakhuma. 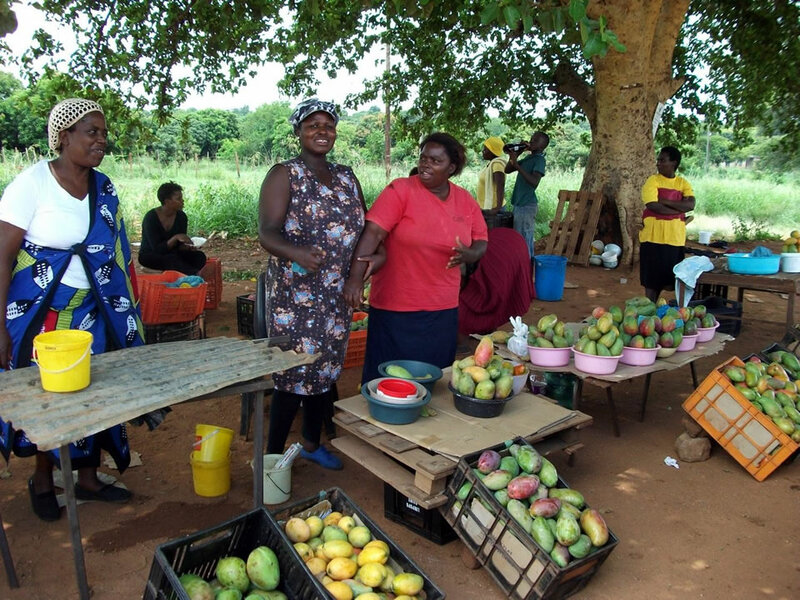 Tshakhuma is today regarded as the fruit basket of Makhado and the entire Limpopo province. Vhafuwi Vho-Madzivhandila consolidated the relationship between his royal house and the Ramabulana Royal House by paying tribute to the Ramabulana Royal House. Vhafuwi Vho-Madzivhandila passed away on Wednesday 7th July 2010, at the age of 76. Mudau, E – “The Vhadau of Tshakhuma”. Government Printers, Pretoria (1940).